Enterprises, carriers, and service providers are being surrounded by a number of competing forces. The monumental growth in multimedia content, the explosion of cloud computing, the impact of increasing mobile usage, and continuing business pressures to reduce costs while revenues remain flat are all converging to wreak havoc on traditional business models. 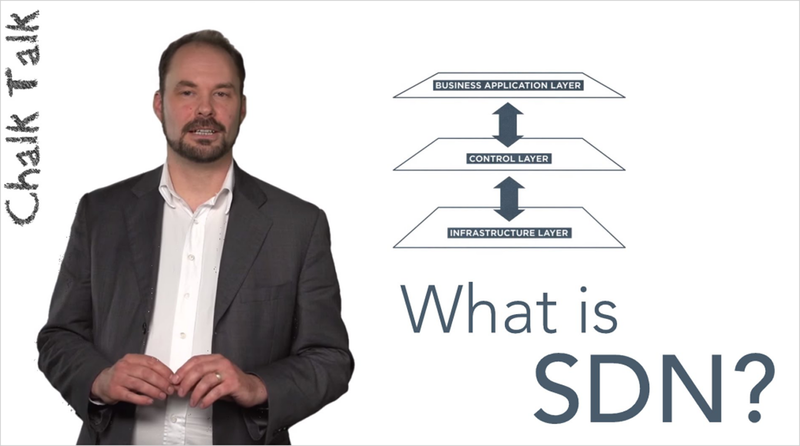 There are four critical areas in which SDN technology can make a difference for an organization. 1) Network programmability: SDN enables network behavior to be controlled by the software that resides beyond the networking devices that provide physical connectivity. As a result, network operators can tailor the behavior of their networks to support new services, and even individual customers. By decoupling the hardware from the software, operators can introduce innovative, differentiated new services rapidly—free from the constraints of closed and proprietary platforms. 2) Logically centralize intelligence and control: SDN is built on logically centralized network topologies, which enable intelligent control and management of network resources. Traditional network control methods are distributed. Devices function autonomously with limited awareness of the state of the network. With the kind of centralized control an SDN-based network provides, bandwidth management, restoration, security, and policies can be highly intelligent and optimized—and an organization gains a holistic view of the network. 3) Abstraction of the network: Services and applications running on SDN technology are abstracted from the underlying technologies and hardware that provide physical connectivity from network control. Applications will interact with the network through APIs, instead of management interfaces tightly coupled to the hardware. 4) Openness: SDN architectures usher in a new era of openness—enabling multi-vendor interoperability as well as fostering a vendor-neutral ecosystem. Openness comes from the SDN approach itself. The open APIs support a wide range of applications, including cloud orchestration, OSS/BSS, SaaS, and business-critical networked apps. In addition, intelligent software can control hardware from multiple vendors with open programmatic interfaces like OpenFlow. Finally, from within the SDN, intelligent network services and applications can run within a common software environment. A key advantage of SDN technology is the ability for network operators to write programs that utilize SDN APIs and give applications control over network behavior. SDN allows users to develop network-aware applications, intelligently monitor network conditions, and automatically adapt the network configuration as needed. Ciena understands the challenge of rapid bandwidth growth. The Blue Planet approach to SDN is based on a hybrid model in which control functions such as end-to-end network visibility, policy, and bandwidth management are concentrated in the logically centralized SDN Controller. Not everything is centralized, though. Control functions such as fault recovery, monitoring, security, which all benefit from being distributed, remain embedded in the network elements.